Kimmy and Julie :: Family Journal » Blog Archive » We’re 4 Today! This entry was posted on Thursday, January 22nd, 2009 at 12:26 am and is filed under Family News. You can follow any responses to this entry through the RSS 2.0 feed. You can leave a response, or trackback from your own site. Happy Anniversary to u … wish u have more and more year to go till eternity ..
heh… the photos was great !! 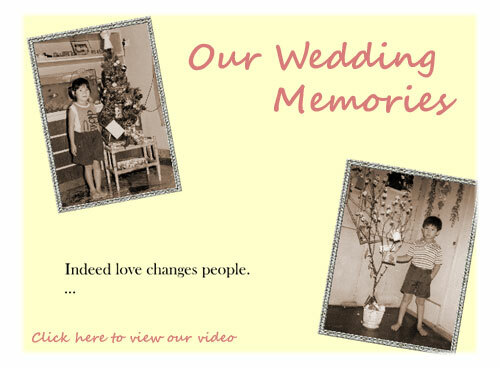 A wonderful thing, the memories we have of our wedding day…. Happy Anniversary to you both. May God bless your marriage that it continues to be fulfilling and it also continues to bless others. The video clip is lovely. Wah, didn’t know the video clip can be upload to your website. happy Anniversary, Sis. Happy Anniversary my fren… time flies…so fast 4 yrs d…. Lovely video presentation! Both of you made a really sweet couple and a happy family too 🙂 Happy Anniversary Julie! Happy Anniversary my fren…time really flies! Interesting video. Thanks for sharing! 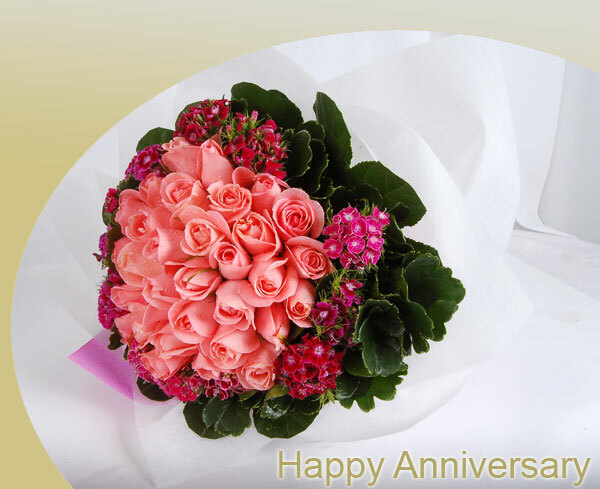 happy anniversary dear… the hand bouquet is lovely!